According to Deadline, MPI Media Group has acquired the rights to distribute I Am Thor, a documentary about the musician from Prom Queen director Ryan Wise. The film follows Thor and his journey as he attempted to stage a comeback a few years ago, after a decade of being bored out of his mind with retirement, an endeavor apparently had disastrous results and almost killed him. For those of you unfamiliar, Thor was the buffed-out frontman for the ‘70s and ‘80s band, conveniently named Thor, who went all in for theatrics and over the top stage productions, though they never attained the same mainstream success as contemporary acts. 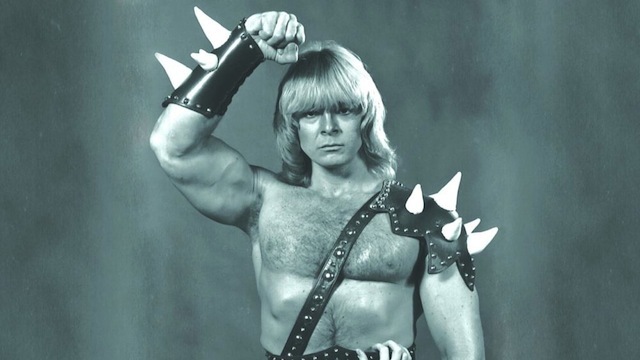 MPI Vice President Greg Newman says, “Jon Mikl Thor is truly a larger-than-life hero who embodies the spirit of heavy metal, and his story of following his dream in the face of adversity is inspiring to witness.” Truer words have rarely been spoken. Even if he never attained the massive, arena-packing status of other musicians, Thor thinks, no, he truly believes he is a goddamn rock star, and we’re inclined to agree. I Am Thor will reportedly receive a late fall release, and whenever it hits, we’ll be there, devil horns up, headbanging away. And just in case you haven’t already watched it for some insane reason, check out the climactic battle from Rock and Roll Nightmare. It’s truly incredible.